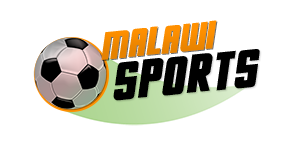 Football Association of Malawi (FAM) has collaborated with Football Coaches Association to offer free Physical fitness coaching course to local coaches starting from next week Monday at Mpira House in Chiwembe. This has been indicated in a FAM statement intended for club authorities which has been signed by its [FAM] General Secretary, Alfred Gunda, last week on 28 November, 2018. The statement indicates that the course will be held from 10th to 14th December, 2018, and will be tutored by FIFA instructor. “The course will be conducted by a FIFA Instructor. FAM in consultation with the Football Coaches Association has selected suitable participants to undergo this course,” the first part reads. It also shows that all expenses for the course will be on FAM, and the coaches have to arrive at Mpira House by Sunday evening. 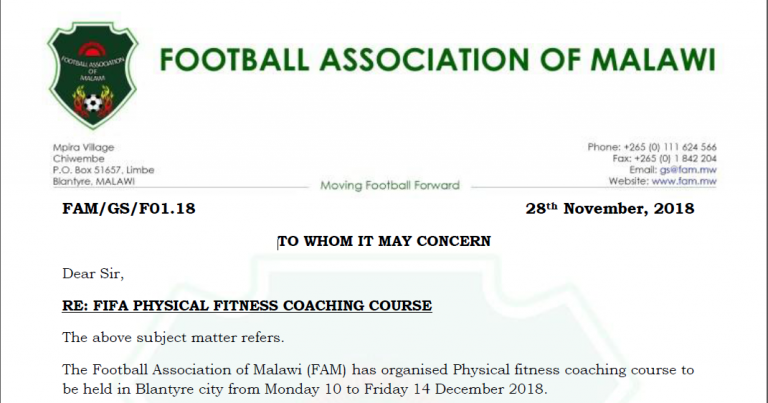 “FAM is therefore requesting for the release of the participants under your authority to attend the coaching course without loss of salary or any other benefits from 9th to 14th December 2018. “The participants should report at Chiwembe Mpira Village in Blantyre on Sunday 9th December 2018. Food and accommodation will be provided. “Participants should use the most direct route to Blantyre using public transport. Transport money will be refunded,” reads the last part of the statement. There are 30 participants for the short course from different clubs. Coach for Nchalo FC, McDonald Yobe, a holder of FAM C coaching certificate who has been shortlisted to take part, says the course will be fundamental to his development. “I think it is going to help me a lot on physical side of my game. It is a good thing that I have been called to attend this course. This will go to boost my CV,” he explained. Chitipa United coach, Robert Mzinza, is also one of the coaches called from the teams which are on the verge of promotion into next season’s TNM Super League. On his part, Mzinza said: “as a coach I will benefit a lot in terms of knowledge advancement which will help my players in a long run. “It is always important to add value to ourselves and given this opportunity to acquire new skills in physical training of players. I am very sure it will greatly improve, first of all me as a coach and secondly the players that I coach,” he said. Mziza also took his time to thank FAM for the positive initiative. “I should also take this opportunity to thank FAM for this wonderful opportunity given to me and other coaches. We greatly appreciate the effort being made by FAM,” Mzinza heaped praise.